In accordance with family wishes cremation will be conducted and a celebration of Georgia’s life will be held at a later date. 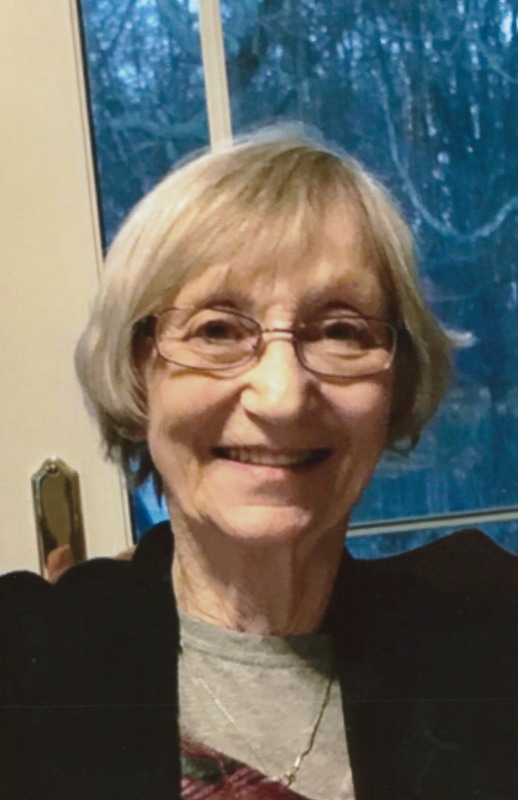 Georgia Ann Spencer, age 76, of Three Rivers passed away on Monday, March 25, 2019 surrounded by her loving family. She was born in Three Rivers on June 24, 1942 the daughter of Victor and Alice (Starzeski) Colosimo. On August 6, 1960 she was united in marriage to her high school sweetheart, Charles Spencer. Georgia worked for many years in housekeeping at Three Rivers Hospital. She was a member of the Immaculate Conception Catholic Church of Three Rivers. She was talented at crocheting and scrapbooking, enjoyed crafts, and traveling with her friends. She also cherished time with her children, grandchildren, and great grandchildren. She was preceded in passing her parents, husband Charles Spencer, and brother, Michaell Colosimo. Surviving to cherish her memory daughters, Carrie Hesher, Gail Stowers, Christine Spencer, Julie Brundige; son, Charles Spencer II“Pip”; sister, Rebecca Blood; grandchildren, Stephanie (Brent) Kertes, Alison (Bowen) Moreland, Courtney Atkinson, Andrew Atkinson, Colby Brundige, Kyra Hatzenbuler, Nathan Hesher, and Mason Spencer; great grandchildren, Lydia, Hanna, Faith, Owen, London, and Jamison; niece, Addison and nephew, Gianni. Memorial donations may be directed to the American Cancer Society. Envelopes are available and may be sent to Hohner Funeral Home in care of arrangements. Rest in Peace Georgia and condolences to your family. I picture you and chuck riding around heaven in a fast car. You were a good person in life and will be remembered fondly by everyone who knew you. Charlie, so sorry to hear about your mothers passing. You and your family are in my prayers. Such a sweet lady. I am Alison Moreland’s mother in law and Alison loved her so much and always had such lovely stories about growing up with her Nan. My prayers are with Stephanie, Nathan, Carrie and the rest of the family. So sadded to hear o the passingf our dear neighbor. Georgia Spencer. Such a sweet spirit she had. Our love and prayers go out to Carrie and her family. John and I send our prayers to Georgia’s family and all of her friends especially Anita (Whiate) Glenn during this very sad and difficult time. I remember Georgia well, we were classmates, and I used to see Georgia at the Three Rivers Hospital from time to time. We graduated with Georgia in 1960. Judy (Gilchrist) and John Mohney from Stayton, Oregon. I was deeply saddened to hear about your mother. Please know that you are all in my thoughts and prayers at this difficult time. Your mom was always so nice to talk with when she came out to the dealership. Sorry to hear of Georgia’s passing. May her family and friends be comforted. Georgia was so energetic. I remember her from school and Girl Scouts. She will be missed. Carrie, Alison and Stephanie, so sorry for your loss. Sending hugs and prayers your way! I’m so sad for the loss of Goergia. I’m right here for everyone.